Ninjas on rooftops, samurais and sword fights, super robots. These were just some of the things my husband and I were looking forward to when we made the trip to Japan last March. Him especially. 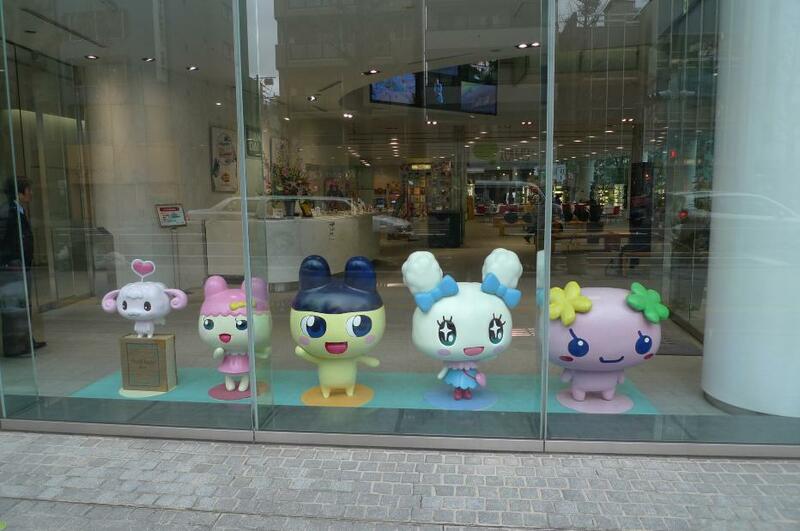 And we found them all at Toie Kyoto Studio Park. 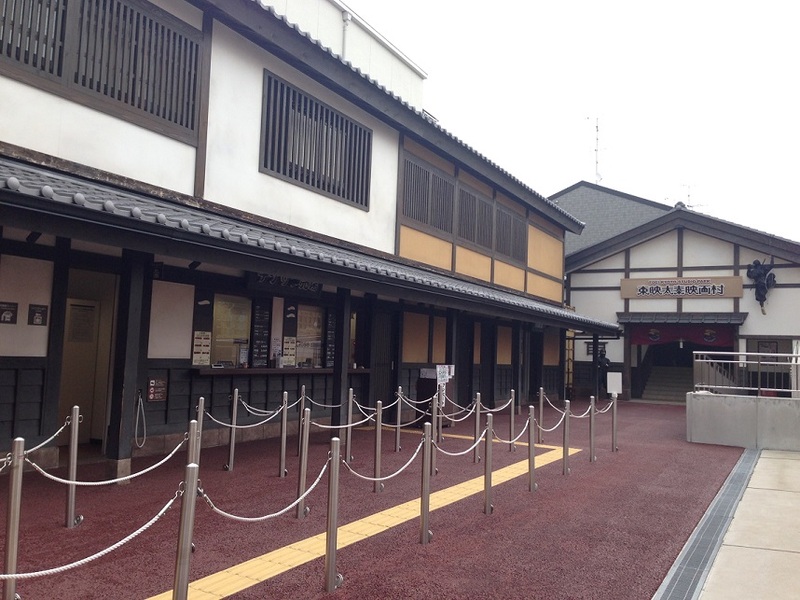 By the entrance and ticket booth of Kyoto Studio Park. Oh look, ninjas. If Kyoto is referred to by guide books as the the Japan of your imagination (what with its dizzying number of historic temples and shrines, teahouses and tradition), then Toei Kyoto Studio Park is place you want to go to if your imagination is keen to include anime, manga, ninjas and samurais. 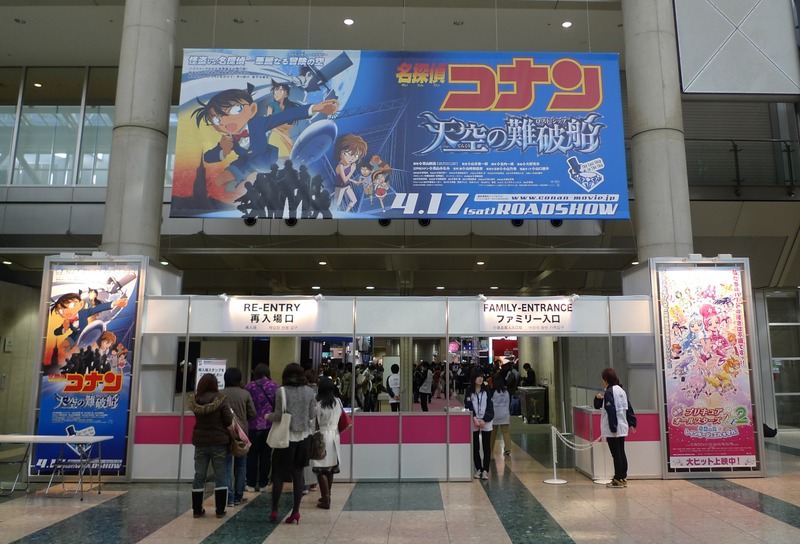 Every year, the Tokyo International Anime Fair gathers the different organizations and companies behind many of Japan’s anime and manga titles. Considered one of the largest anime trade fairs in the world, it is usually held for four days, in the latter part of March, in Tokyo Big Sight in Odaiba. The first two days are reserved for industry people and the press, then it opens to the public on the third and fourth day (typically on a weekend). We got to go last year and being curious as to how it was going to turn out this year I searched online for news on the 2011 fair, which was slated for March 24 to 27. With the earthquake and tsunami that recently devastated parts of Japan however, it wasn’t surprising that they cancelled this year’s fair. For those who were planning to attend the fair for the first time this year, here are some anime fair photos–though they are from the 2010 exhibition, I hope it gives you an idea on what goes on inside this anime heaven of an event. 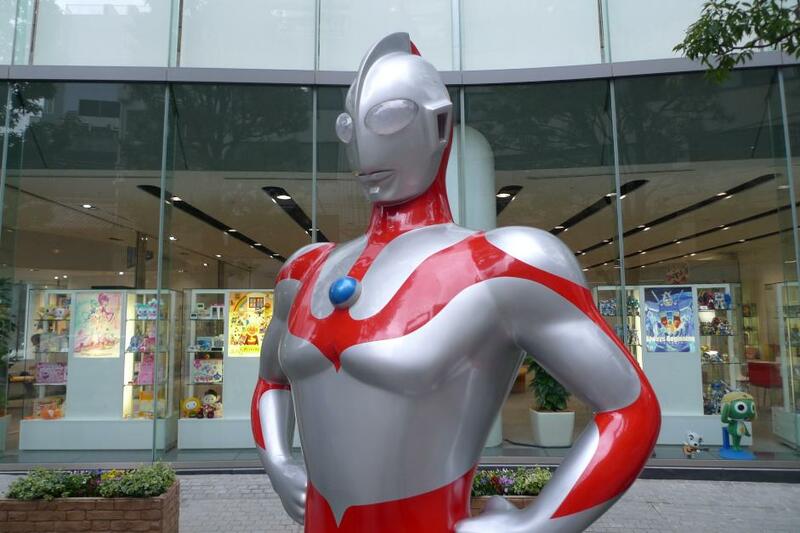 P had originally wanted to see the life-sized Gundam statue that was erected in Odaiba a year before. But it had been moved out of Tokyo and into Shizuoka. 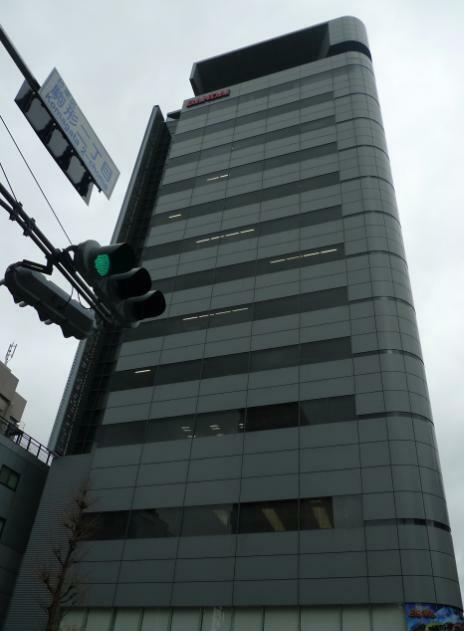 So when he spotted the Bandai logo on top of a building as we were about to cross the blue bridge over Sumida River, it was like the mother ship calling out to him. I have friends who’ve gone to Paris and who headed to the Eiffel Tower just by keeping it in its sight. (Not a recommended thing to do.) 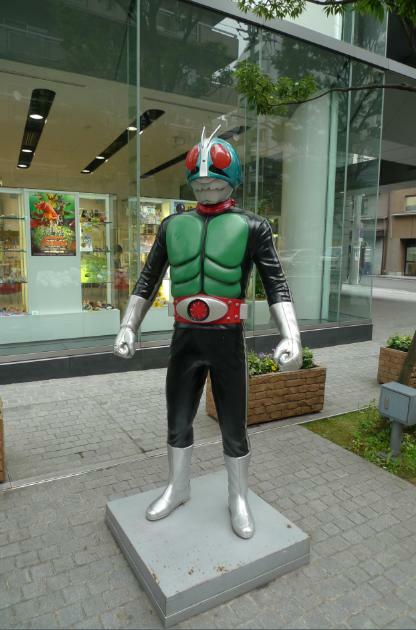 This is how we ended up across the street from what looked like the Bandai office building, where statues of Bandai characters lined the sidewalk—including Ultraman and Kamen Rider. P had a nerdgasm. We took an embarrassing amount of photos before going inside, where toys and more Bandai characters were in display on the ground floor. My favorite sight inside the Bandai building--it's the sergeant! When we got out, it started raining. We were hungry and I was still craving for tapsilog (which is a Filipino breakfast consisting of tapa or cured salty beef, sinangag or fried rice and pritong itlog or sunny side-up egg) or any –silog for the matter. I didn’t want tea, miso soup, beef bowl, ramen or onigiri that morning. Without a Filipino restaurant in sight, we ended up in McDonald’s. Every time I would lift my head in an attempt to get out of bed sent me back to horizontal position as the room felt like it was spinning. The fact that we downed more shōchū after we left the dry noodle place the night before suddenly came back to me. C wanted to show us this tiny bar a few meters away called Bar Dr. FeelGood (the name of which I only remember because of the photos), where he also knew the owner—a tall, lanky, long-haired Japanese who also played in a band and tended the bar himself. We needed to have our seven-day Japan Rail Pass (JR Pass) exchange orders exchanged for the actual passes in the JR Station Information Center in Shibuya for our shinkansen ride to Kyoto the next day (and more importantly, reserve seats), then head to Akihabara for a guided tour after lunch. While I prefer to explore a place on my own, P wanted to make a pilgrimage to Tokyo’s geek center for electronics, gaming, manga and animation with a knowledgeable guide in tow. The fact that the Akihabara tour he stumbled upon online had a guide dressed as Goku (a character from the anime Dragon Ball) made him instantly book the tour. As the Japanese are known for their punctuality, we were there in the JR Yamanote Line of Akihabara Station an hour before the designated meeting time. We had a quick lunch at a casual Japanese curry restaurant outside the station, which served the tastiest and perfect-for-the-cold-weather katsu-karē or breaded deep-fried pork cutlet with curry sauce that we’ve ever tasted. (Though our taste buds might not have been the most reliable since we gorged down the hot sticky rice, katsu and spicy curry in record time.) Once we polished off our plates and stuffed ourselves ready for the tour, we walked back to the station where we found our guide Patrick Galbraith in his Goku cosplay costume and spiky Super Saiyan hairpiece waiting for the tour group, which would be composed of a family of four from Spain, an American teenager with his mom, and a Japanese magazine crew of three. A PhD candidate at Sophia University in Tokyo, our guide tells us later on that the tour was going to be his last, because he needed to finish his studies, appropriately on otaku (“geek”) culture. 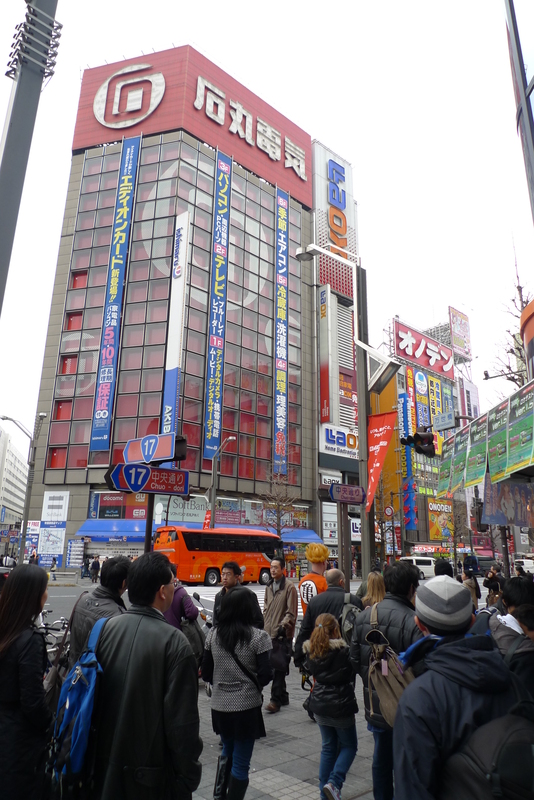 And if you wanted to behold geek culture in Japan, Akihabara (or Akiba as it is often called) is the place to go to. Though cosplayers and street performers have been banned from its streets in an apparent attempt to uphold a cleaner, more normal image (a consequence from past disreputable antics and the tragic knife attack in 2008), Akiba still house a dizzying concentration of stores and cafés catering to the otaku; because beyond its many electronic shops, it has also become a mecca of stores featuring a mind-boggling array of anime and manga goods and video games. I swear I heard my husband let out a squeal more than once, trying to contain the giddy, geeky boy inside him for finding his own little piece of heaven. 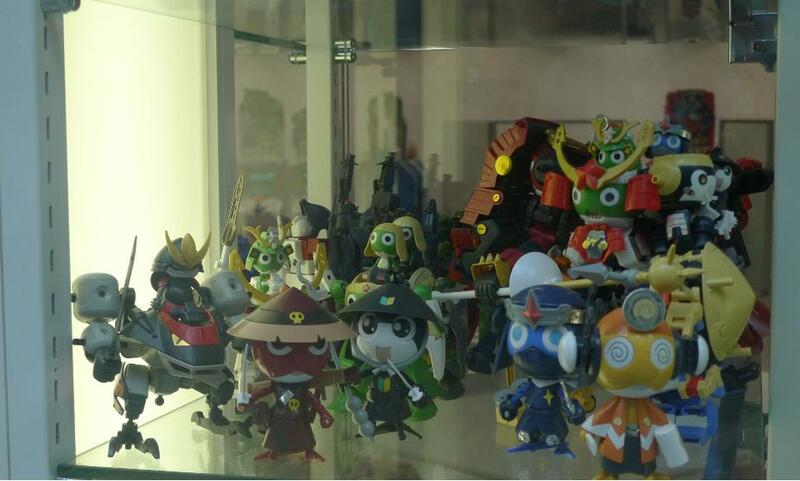 MaskRider, Ultraman and so many other anime toys. P found his geek heaven. Seriously, I don’t know what to put as a caption for this. We went inside several hobby stores and toy stores that held different manga and anime-themed toys of all kinds, including P’s favorite Mask Rider, Classic Ultra Man, and Gundam models. 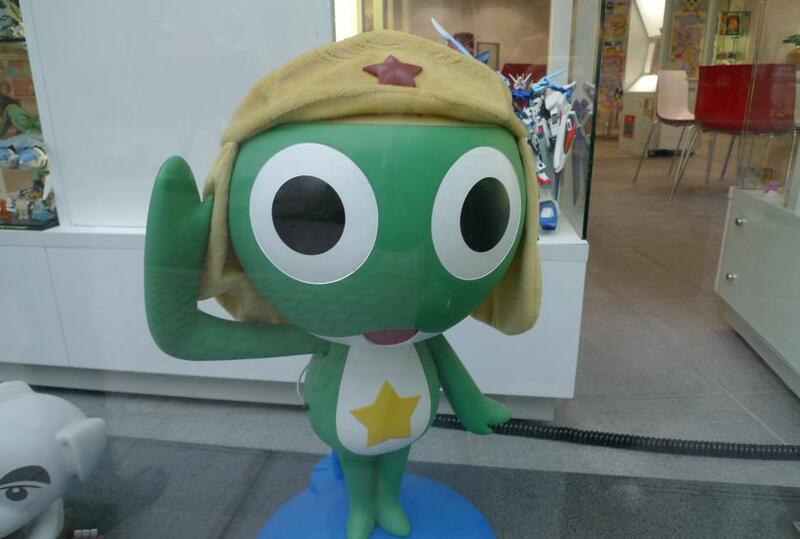 Many were for sale; some were personal collections being displayed for fellow otaku to appreciate. This included dolls in underwear or French Maid get-ups. There was a store that sold those French Maid outfits. A gallery called Art Jeuness with paintings of doe-eyed anime-looking girls in slinky outfits in exhibit. Oh, and the maid cafés.